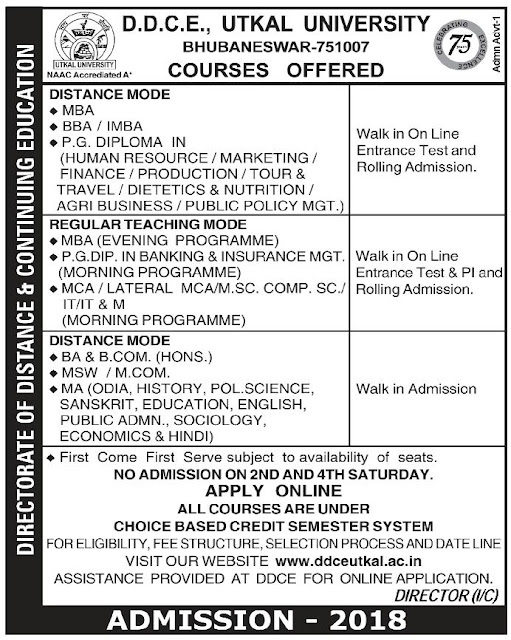 DDCE Utkal University Published Admission Notification Various Distance Mode Courses. Now Eligible Interested Candidates Can take admission through Walk in Admission Mode. 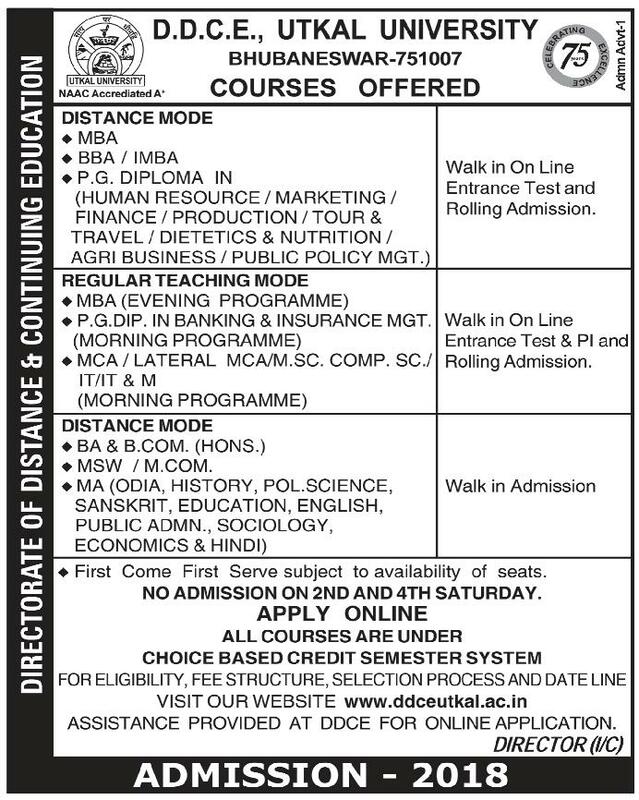 DDCE Utkal University Published Admission Notification Various Distance Mode Course for Both Under Graduate & Post Graduate Courses. Now Interested Can take Admission through Walk in Admission Process.